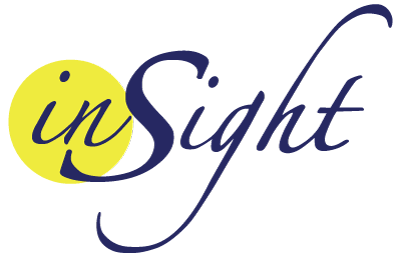 Insight is a teenage drug rehab center in Studio City. Our drug rehab center is designed for teens and adults. We provide treatment for drug addiction at an intensive outpatient level of care. Drug addiction, if left untreated, can cause additional woes and turmoil in one’s life. This can lead to teens having trouble with the law, finding it difficult to deal with school tasks and leave them exposed to experiencing severe health problems. That’s why we recommend teens to see a doctor at the very first sign of a substance abuse problem. Every teen struggling with illicit drugs has specific needs. Insight facility offers personalized care to ensure success. Our teen drug rehab in Studio City is located near the Rose Bowl. We have provided our patients a safe-haven for teens so they can fully grow and recover. The details of the program can vary from one patient to another. Our therapists and counselors will help you decide what avenue is suitable for your teen’s recovery. You want to make sure you to go a teenage drug rehab center in studio city that offers comfortable amenities. We also enable them to access leisure activities so that they won’t get bored. Having recreational time is an integral part of their treatment process. Insight is one of the first drug rehabs that offers outpatient treatment programs for teenagers in LA. Our programs have evolved into more than just a teenage drug rehab cener. Therapy sessions are facilitated by our highly trained clinical team, who specialize in resolving self-harm and chemical dependency, as well as behavioral and emotional problems in teens. Our teen drug rehab nearby Studio City is licensed and accredited. Thus, your teens can safely be treated in our facility. We can assure you that they will receive the best treatments they need during this delicate and emotional time. The success rate of our teen rehab facility is higher than other rehab facilities in Studio City. We credit our excellent success rate to our methods of treating our patients, our quality of licensed and well-trained staff, and our state-of-the-art facility. We encourage parents to get a tour of a teenage drug rehab center in Studio City. Our staff is more than happy to introduce what we do and the amenities that we offer. Getting acquainted with our services through a visit will give you an idea of where your teens will stay and how effective our methods are. You can also scrutinize our facilities and amenities, be the judge of whether or not your teens will likely to succeed in our rehab center. Our excellent staff will provide your teens with the best treatment and experience they need while recovering from drug addiction. When you visit our facility, we are confident that you will have a good feeling about our treatment staff. If you do, then it’s highly likely that your teen will also have a great feeling about being treated and counseled with us. Speak with one or more of our counselors to know more about what we can contribute to your son or daughters healing process. Once your teen completes a teenage drug rehab center session, they will still need guidance. For that reason, we provide aftercare options and supplements to help them cement their full recovery. We offer planning and follow-up meetings as part of our procedures. 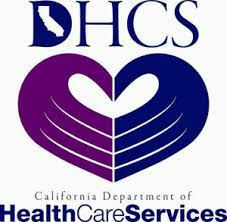 Our continued care services will guarantee that your teens will regain and conquer their drug addiction successfully. We go the extra mile to help your son or daughter in moving forward and living a drug-free life. It is ideal to address your teen’s drug addiction at the first stage. Whether or not it is a full-blown addiction, your teen must seek help before it burgeons into a huge issue. Most parents with teens who get addicted to illegal drugs wish they had acted sooner when they first saw signs of substance use. If you’re not sure whether or not your teen needs drug rehab, please contact one of our certified counselors or an advisor here at Insight. We provide confidential guidance for parents who don’t know what to do about their teens’ substance habits. If you think that your child’s situation requires rehab, we encourage you to visit our facility near Studio City. In that way, our staff will assess your child’s condition and identify the right treatment options. Insight’s intensive outpatient program can treat your teens while they still go to school and live in their own home. They can attend their therapy four days a week and be part of intensive types of treatment for three to four hours.